People have different viewpoints, that is just the human way. When people are working together day in and day out, those differences are bound to escalate to conflict. How the conflict is then handled will either help the team for the better or further create a divide. In order for your team to grow from conflict, you need to employ the right strategies. When an employee is very upset, they may feel the need to let you know about it. This is one of the main principles of mediation and it is important to remember it in these situations. This may seem like it could get people more heated and increase the level of conflict but that is the only way to find the solution. When team members are experiencing conflict with one another, it may seem like jumping in is the right thing to do. As good as your intentions may be, it could wind up escalating with your involvement. You want to encourage them to handle their conflict on their own and in a neutral location. This could be to step outside or go into a conference room as opposed to hashing it out at a cubicle. Team members each carry their own responsibilities and it is important that each person knows the status of what each team member is working on. For this reason, having a team progress tracking software in place is very helpful with easing opportunities for conflict. With daily status updates everyone on the team will know what has been done, what is getting done and what will not be completed and why. In order for your team to be productive and run effectively, it is essential to have a software like this in place. If you see the conflict is not being resolved, it may be time for you to intervene. You can offer yourself as a mediator and sounding board. Each person gets the opportunity to share their concerns and everyone can feel heard. This will help forge a more cooperative spirit between both people. You may have your favorites at work but it is key that you don’t take sides in any conflict. You have to remain neutral. Make sure that you give each team member time to speak their opinions and feel heard. If you notice tension among your team, suggest that they take some time for a break. They can take a short walk outside which helps greatly for calming down an upset employee. Try and be as proactive as possible in creating positive interactions for your employees. This could be planning team building activities or coming up with group traditions. A tradition can be something like celebrating any goals that the team has met with a group lunch. This will help foster a stronger feeling of connectedness among the team. When people feel more connected to one another, a sense of respect for each other as individuals follows. This tends to lend itself to more positive interactions back at work. Conflict is universal in the work environment. Whether you work for a fortune 500 or a small business, different personalities always lends itself to potential conflict. As a team leader, it is your job to effectively navigate these conflicts without bias and with the right strategies. The above tips will help you better manage conflict among your team which will help foster a more positive working environment for everyone. The holidays are that special time of year where people are in the mood to give which spells good news for most e-commerce businesses. This time of year typically means an increase in revenue and if your business has not experienced a boost in the past, now is the time to start putting together a strategy. Here are 9 ways to help you boost your Shopify store sales this holiday season. People are shopping for the holidays earlier and earlier every year. This could be in part that all the stores have Christmas decor on the shelves before Thanksgiving but I digress. Regardless of the reason why, your store needs to be prepared for those pre-holiday sales. So make sure your inventory is stocked, your promotions are set and your store is appropriately decorated at least 2 weeks before the holiday. You want to be the store that comes to mind when it comes to those oh so important holiday purchases. Consumers love the mood of the holidays and when they visit your store, you need to deliver all the good holiday feels. Make sure your store design puts them in the holiday spirit. Shopify has a list of holiday-specific apps and tools you can use. Also, don’t forget about those emails, make sure they have that holiday feel too. Bonus tip: Consider some type of reward for those doing their holiday shopping with you this year. A coupon for a percentage off a future order works well in this scenario. The holidays are the perfect time to run flash sales. You want to take advantage of FOMO by using message like “% off for today only” or “purchase in the next 3 hours”. This type of wording works to get people to pull the trigger on a purchase. 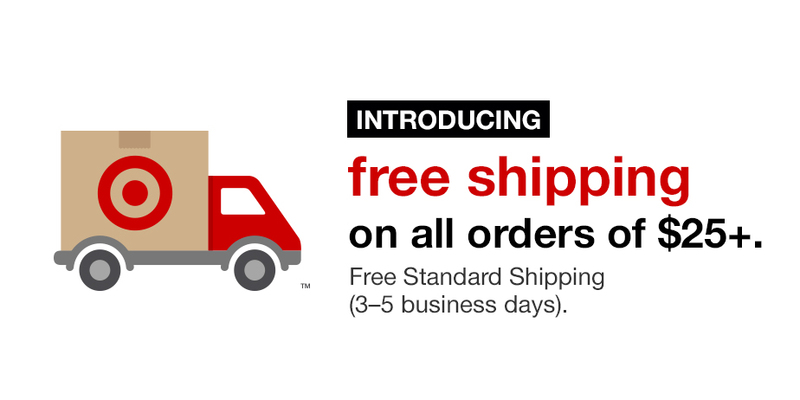 During the holidays, if you want to be competitive, you need to offer free shipping. It is said that it is one of the top reasons for shopping cart abandonment. This may cost you a little but if you want to stay on par and beat out your competitors, you need to do it. One way to bring down the cost, is to have a minimum purchase amount to qualify for free shipping. Most people will not have an issue adding some more items to their cart to qualify. Lastly, don’t forget to use an exit offer so that when someone begins to navigate away from your store, a pop-up with an offer will appear. This could be a discount or free shipping. Something that will get the person to make that purchase. Stay relevant during the holidays by making sure you add a holiday feel to your social media presence. Nothing major needs to change but you do want to update your profile picture, start posting holiday related messages, give a glimpse of your products neatly wrapped in holiday packaging. Another way to help impart the holiday spirit is to show support to a cause or charity that means something to you. This can be a page for a local charity or maybe a GoFundMe donation page. This not only helps show the more human side of your brand, but you will also be giving back which is what the holidays are all about. Last but not least, holiday contests work great. This can be a photo contest (think ugly sweater or best holiday lighting), fill in the blank status updates (My top gift for Christmas would be xyz), a selfie contest (person submits pic of them near something holiday themed with your product), name your favorite Christmas movie, the list is endless. Your customers want to know you value them and what better time to let them know than the holidays. Send them a personalized email or a letter in the mail giving them thanks for their business. Make them feel special and you help create a customer for life. The holidays are a good time to throw some marketing dollars in the mix. Go through your recent social media posts and see which had a nice level of engagement. Test out some of them earlier in December and see if any give you a nice boost in traffic. If they do, think about putting some marketing dollars behind a paid ad for that exact post. People are on their mobile devices more than any other device so you need to make sure your store is good to go. If not, you will not only be penalized in the search engines but also on the sales side. Purchases are being made more and more on mobile devices so you need to show customers you know this. A gift guide just basically categorizes your products so that the customer finds it easier to shop. This makes it a less stressful experience for the customer and they will remember this added touch. This is not for every business. This works well for a business that has many affordable products. Someone selling high end instruments would not need to put together a gift guide. Depending on what you sell, you can do a his/her section, a kid section, maybe a top ten section. Sales during the holidays are not a given just because it is one of the biggest shopping times of the year. In order to get the most out of the upcoming holiday season, you need to prepare ahead of time in order to have a competitive edge. The above tips will help you boost sales and win over customers so that your Shopify store experiences a great season. Having a presence on Facebook for your business is essential these days. With that being said, it is becoming more and more difficult to stand apart from every other business. With over a billion users on the platform everyday, businesses need to know how to properly use Facebook to grow their business and audience. When it comes to marketing on Facebook, video has taken center stage. Over a 100 million hours of video is watched everyday making it one of the most used marketing strategies for businesses. The key to successfully using video is to keep it native, short and engaging. You also want to think about adding captions as many people are viewing video without sound. We just mentioned the popularity of video. Now we move onto live video which is one of the most effective forms of video right now. They estimate that live videos on Facebook are watched up to 3 times longer than normal videos. This presents a great opportunity for brands to embrace those spontaneous moments via live streaming which in turn really boosts engagement. Communication between brands and their consumers has been facilitated greatly by Facebook Pages. They offer some great options like automated responses when a message is received by a brand as well as an option to set up ‘away messages’ if you are not available. Pages can really function as the shopfront for your business, providing all the details that a customer would need to know. This is just another example how using Facebook can really enhance the customer experience. It has been found that images that are posted to Facebook via Instagram experience a higher organic reach than those posted directly from Facebook. They are really pushing cross promotion between the two platforms and they are rewarding the pages that do it. Instagram’s 600 mill users does not compare to Facebook’s 1.4 billion so they will be trying to ramp up Instagram’s numbers over the next few years and cross promotion will be an essential part of the strategy. Facebook is always changing its algorithm. They make sure they are adapting and adjusting to the types of content the majority of people want to see. When it comes to putting together content to post, you want to make sure to experiment in order to figure out what your audience responds to best. One thing is for sure, do not post the same type of content over and over. It is also a good idea to pay attention to your competitors’ strategy for tips and information. With that being said, coming up with the best content on a consistent basis can prove challenging. I know for me, it was eating up too much of my time. I ended up finding this company that can create custom social media content for you. Just provide them with basic details about your company and your target audience and they will create unique content for your brand. They can do this not only for Facebook but also Twitter and LinkedIn. Once you approve the content, you are able to schedule the day and time you want it to go out. This service has really been a lifesaver for my business and I highly recommend looking into it. Facebook contests are all over the platform and you have probably entered a few yourself. Running a contest is a great way to boost engagement with your audience. It does not need to be complicated and there are plenty of simple of ideas out there. Like to win, comment to win, caption contest, fill in the blank contest, the list can go on. Get creative, the sky’s the limit. In the landscaping industry, Insurance is by far one of the largest expenses for a company. Finding a way to cut down the cost will go a long way in helping the company turn a profit. One of the best ways to get insurance premiums lowered is by coming up with a properly documented safety program. It will prove to be beneficial for both your employees and your business. Below are five elements needed for a successful workplace safety program. In order for a workplace safety program to be successful, there has to be a commitment to safety starting from the top. Everyone from the owner down to the management teams needs to be on board. Workplace safety is not something that just trickles down from the higher ups, you will not see success with the program that way. To this end, there has to be someone designated within the company that will be in charge of leading the safety training efforts. For a larger company, it may make sense to hire a safety and training director. With a smaller company, it may make more financial sense to go with a crew manager. Once you have come up with who will be overseeing the program, a formal policy statement should be made that way all employees see that the commitment level to safety starts from the top. As you begin putting together your safety program, it is important to look at all the facets of the business. Everything from services offered, climate issues, added equipment to the fleet, properties the crew works on, have to be considered in order to properly refine the training. As an example, if you expand your lawn care services to include tree cutting, you now have new equipment like chainsaws and other hazards to think about. You have to constantly keep reworking your safety program to make sure it stays up to date as the company grows. The landscaping industry is dangerous and with that come the accidents. This is something that cannot be completely avoided but it is how you react that can make all the difference. You also need to determine how do you keep this from happening again. You want to start by identifying the issue and what caused the accident. Often times the employees want to save on time by cutting corners. Check to make certain that all the right measures were taken. Knowing these potential issues before an accident occurs is key. Only then can you come up with the right training that will help avoid these issues in the future. As you are getting started putting together your training materials, it is key to begin with looking at the unique characteristics of your company like we mentioned above. The training program you put together should be tailored to the hazards employees face at their specific worksites. There are also many resources available to help you put together the necessary training materials. OSHA’s website, osha.gov, is a great starting point. Insurance companies are also a good source of information as well as schools that have horticulture programs. The use of videos is also really popular as a training tool. With smartphones and tablets it makes it simple to deliver content. It is key to circle back with employees after every safety training session. Their feedback is essential to your program’s success. They should be answering questions and letting you know what they thought of the program, if they understood everything and if there are any changes they think need to be made. This critical information will help you better your program and provide retraining if necessary. In addition, if you are not already using a landscaping business management software, you should think about implementing one. It will provide you with the necessary project and internal management functions you need to run your business successfully and your safety program will benefit as well. One of the most basic and still effective forms of marketing is the real estate flyer. A properly done flyer should be comprehensive, beautiful and compelling and can be an effortless way to gain new customers. The key to flyers that will sell listings and impress clients is having the essential components. Below are the key details to include to make an attention-grabbing real estate flyer every time. The headline is one of the most important parts of the flyer since this is the piece that is going to peak the buyer’s interest. Some examples of catchy real estate headlines include: “Welcome Home”, “Your Dream Home Awaits” or “Ideal Starter Home”. For your headline to do its job, you want to make sure you use a nice large font. Fancy scripts are not a good idea as they lessen the readability. Keep the size of the font to around 24-48. Spend Less – Get More! The address should be in a simple font. Abbreviations look unprofessional. The address should be spelled out. Double check the address and make certain it is correct. When it comes to price, the jury is still out. Leaving out the price of the property creates an air of mystery. It will provoke a phone call and if you excel over the phone, this is a winner. If you do list the price, only strong leads will be calling, but you also risk losing out on capturing other leads. Don’t put too much focus on using adjectives. Use words that set the scene and give the impression they are getting a tour of the home. Give them an idea of what living in the home looks and feels like. Let them imagine themselves sitting on the porch or in the backyard enjoying a family bbq. Bullet points should be kept to a few words. No full sentences. A small detail but a must. The disclaimer goes at the bottom of your flyer in small print (about six point). A well designed flyer is a great advertising tool that will not only help you sell properties but also generate high quality leads. Furthermore, they help boost your brand and give you a leg up on the competition. When it comes time to make your real estate flyers, Flyerco offers beautiful, customizable flyers and tons of templates to choose from. An essential aspect of business success with social media is reaching consumers via both inventive and thorough marketing campaigns. Below are a few tips that will certainly expand both your following and your brand. We all know how fleeting twitter posts can be. One second they are there, the next they are below the other fifty tweets that were posted after you. Your posts are way to important to get lost in the Twitter feed. To get noticed, be sure to add an image, a related link or a fun emoji to your post. This will certainly set you apart from the rest. We all have so much we want to say and longer posts allow us to do that. So if Twitter’s 140 character limit is not cutting it for you, check out Facebook, LinkedIn, and Google+. As organic reach lessens for Facebook business pages, you may find your message is not getting out to your followers. This is where creating Facebook groups is a great idea. Creating a group will allow you to generate more connections and conversations about your product and brand. Also, members can to opt-in to receive direct notifications about updates in the group. This step is super easy to implement. Include call to action button (i.e. “like this page” and “learn more”) in your posts to achieve increased clicks, conversions and traction. Consistency is key to ensuring your social media profiles remain active and engaged with your audience. My number one tip for consistency is using a tool to schedule instagram posts. With a tool like Autogrammer, you have the ability to create a tailored schedule in advance where you can specify the day and time your posts will go out. Gone are the days of scrambling to post on the fly. The other great thing about this tool is that you can also use it for multiple platforms including Facebook, Instagram and Twitter. My last tip is to make certain you are including links to your other social accounts in the bio and about sections. This will ensure your customers know where else they can find you. I think we can all agree that social media has become one of the most powerful ways to acquire new leads. For this reason, having a solid social media strategy in place so crucial. If you make certain to consistently share valuable content and effectively utilize the proper social media platforms, your brand building efforts are bound to pay off in the long-run.